2014 Reading: #34 Renee Swope’s A Confident Heart – It's Time to Read! 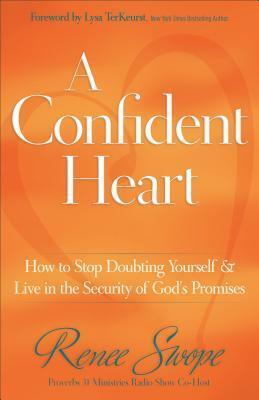 Book number 34 in 2014 is Renee Swope’s A Confident Heart. Renee Swope is part of the Proverbs 31 Ministries, who I follow on Facebook and receive their daily devotions. I noticed on Facebook a while ago that for one day only this book, A Confident Heart, was free on Amazon so I immediately downloaded it (who doesn’t love a free book?!) I am so glad I chose to read this book, it is excellent. This book is all about realigning your thoughts, fears and doubts with God, and seeing that we don’t need to be afraid, because in God’s strength we can do all things. This book was full of verses, and confirmations about how I am in Christ and how much God loves me. It was a great read and I am already looking forward to going through it again with my journal.